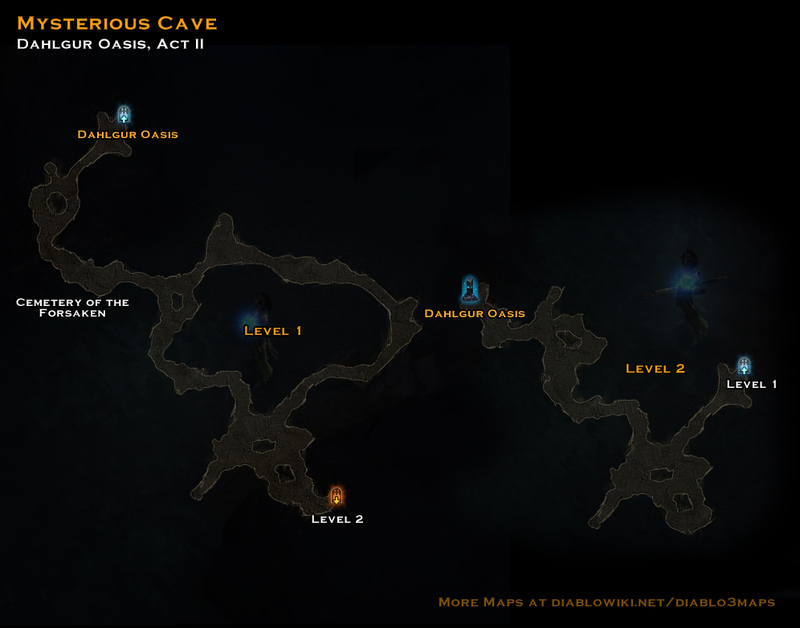 The Mysterious Cave can sometimes spawn in one of two locations in the Dahlgur Oasis of Act II. It has two levels of random configuration, with the second level always being much smaller than the first. It's where you get the Liquid Rainbow which is a requirement for the Staff of Herding used to access Whimsyshire (secret level). This page was last edited on 17 November 2013, at 03:51.